Demo Helix Wetsuits ($800 MSRP), Reaction Wetsuits ($500 MSRP) or Sprint Neorprene Shorts ($80 MSRP) all from blueseventy! Get fitted, ask questions and wear them for the race. 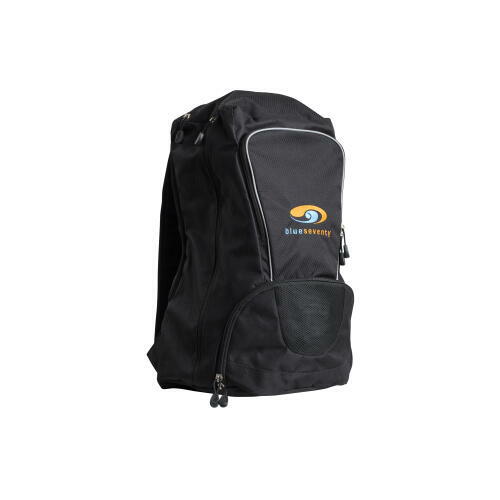 Anyone that tests out a suit or shorts will be entered to win the NEW blueseventy Streamline Bag pictured below and receive a coupon for purchasing a new wetsuit or short from Fleet Feet Sports. Please arrive early to arrange your demo and good luck on your race!